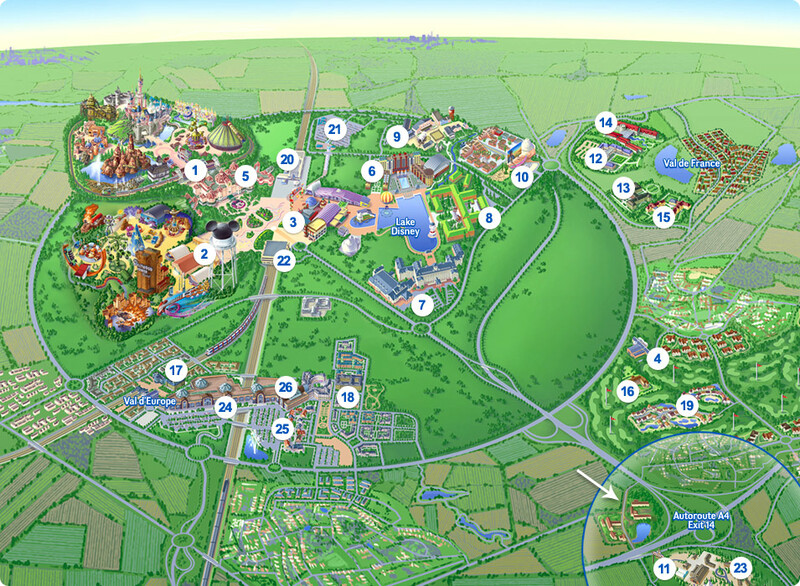 Disneyland Paris map — 1,943 hectares of Disney fun and magic located 32 km east of Paris. Two Disney theme parks comprise more than 60 attractions, 50 restaurants, 45 shops and numerous shows and parades. Disney Village provides over 3 hectares of dining, shopping and evening entertainment, whilst 7 themed Disney hotels, 8 partner hotels, the 27-hole Golf Disneyland and bustling town of Val d'Europe complete the resort.